How does this popular high chair that's been around since the 70s compare with newer models on the market? 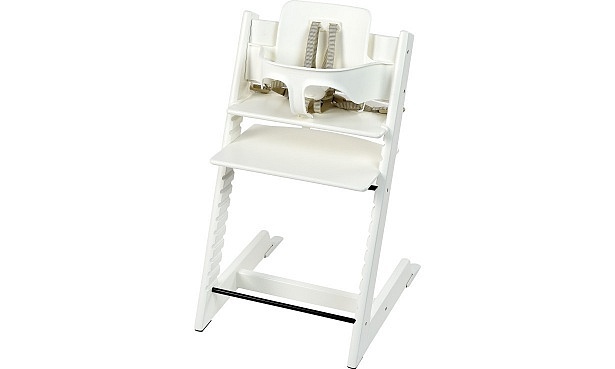 We first reviewed the popular Stokke Tripp Trapp high chair in 2009. Then, it was unique in its design and price. Now, 10 years on, we’ve just retested it. We also just tested and reviewed two other wooden high chairs that you can adjust to grow with your child: the Safety 1st Timba and the Hauck Alpha+. Both of these are suitable for children aged from six months upwards – up to 10 years old with the Timba, and up to 90kg in weight with the Alpha+. Read on to find out which of these convertible high chairs is best for you, and how the Stokke Tripp Trapp compares. 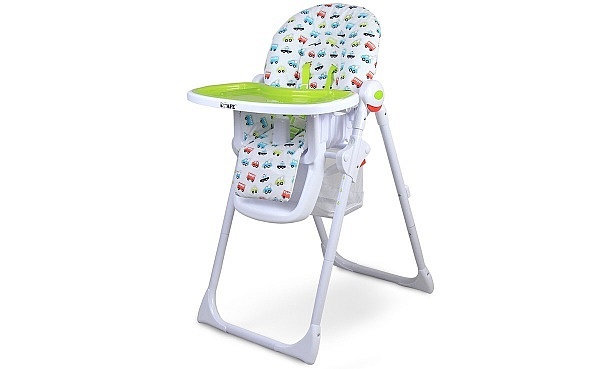 Or head straight to our high chair reviews to see all our newly tested models. 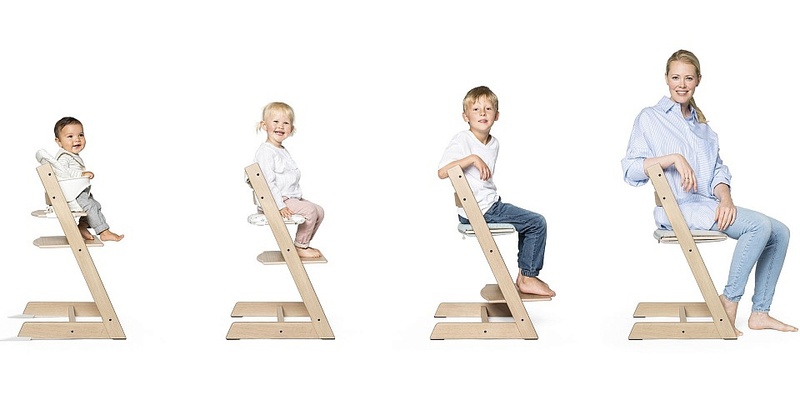 The Stokke Tripp Trapp was the first of what’s now an ever-increasing clan of convertible wooden high chairs. They’re convertible because they can last from babyhood (usually six months old) right into adulthood. 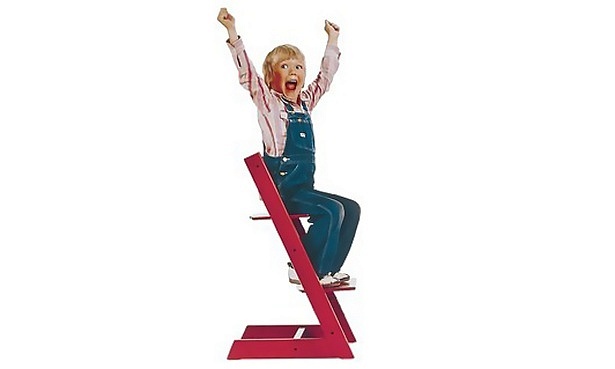 The design of the Stokke Tripp Trapp has remained virtually unchanged since its launch in 1972. The advert for the first ever model is shown below. You can adjust the height of the seat and footrest as your child grows. Like many convertible high chairs, the Tripp Trapp doesn’t fold, but it’s designed to slide under a dining table, just like a regular chair would. We tested this Tripp Trapp using the additional Baby Set seat (£47) and harness (£29). With a starting price of £178 for the chair on its own, you’ll end up spending £254 with these two extras; four times the cost of the other two convertible high chairs we’ve just reviewed. Find out whether our experts and panel of parent testers think it’s worth it by reading our full Stokke Tripp Trapp review. 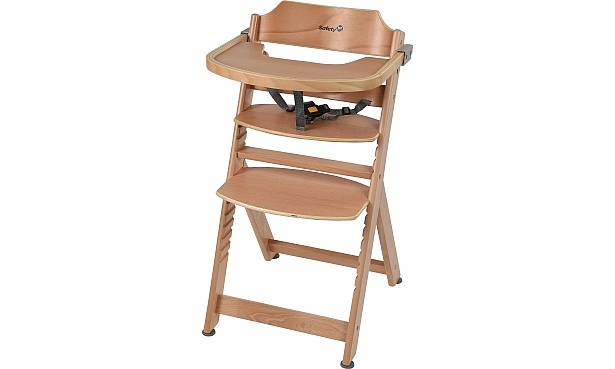 The Timba (£60) is a beech-coloured high chair with four seat-height positions, one tray position and plenty of choice for where you fix the footrest. Unlike with the Tripp Trapp and Alpha+, you can’t sit on it as an adult, as it’s got an age limit of 10 years. 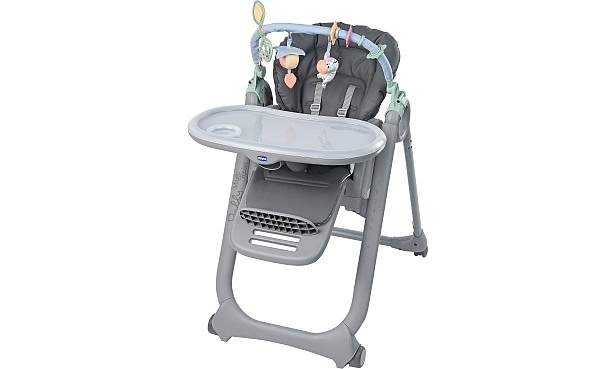 It does have a tray and harness included as standard, which should save you some money compared with the Tripp Trapp. Find out the niggles our testing revealed by reading our full review of the Safety 1st Timba. The Alpha+ (£65) has been described as a ‘grow-along’ chair by manufacturer Hauck. It’s suitable from six months. Adults weighing up to 90kg can also sit on it. This high chair doesn’t include a proper tray, so you’ll have to feed your child at the tap. You can buy an additional tray online for £35.99. What it does have instead is a wider belly bar/safety rail. But some testers found the safety rail got in the way when trying to put their child into the high chair. We also found an issue with this high chair’s harness. Read the full review of the Hauck Alpha+ to find out more. It’s not just the Stokke Tripp Trapp that have enduring appeal. 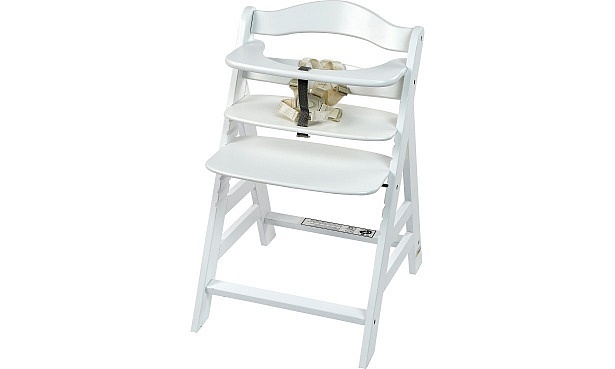 The models below are some of the most popular high chairs that we’ve reviewed. 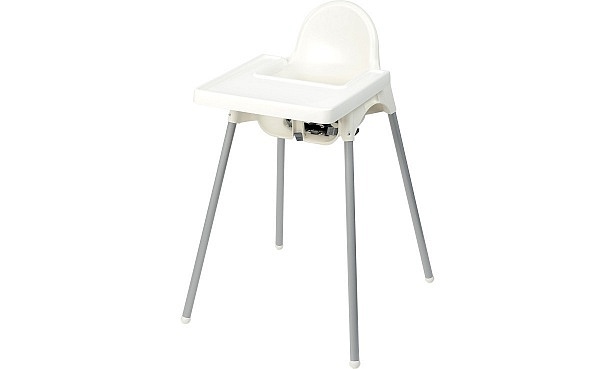 The Ikea Antilop high chair is a perennial favourite, possibly because of its £9 price. Many rate its simplicity and ease of cleaning. But can a design this basic also provide the support your baby needs during weaning? Read the full review of the Ikea Antilop to find out. We first tested the feature-filled Chicco Polly Magic in 2009. It’s recently undergone a few changes and been relaunched as the Chicco Polly Magic Relax (£139). We’ve retested it this year to see how it scores, and whether parents rate its range of features, including eight positions for height, four for recline and four for the tray, as well as a removable toy bar. Read the review of the Chicco Polly Magic Relax. Despite being launched several years ago, the Graco Contempo is still a high chair that can rival newer models. Find out how it scored in our testing, by reading the full review of the Graco Contempo.